The first half of 2016 in Korean entertainment undoubtedly belongs to Song Joong Ki with his massive pan-Asia breakout thanks to hit drama Descendants of the Sun. 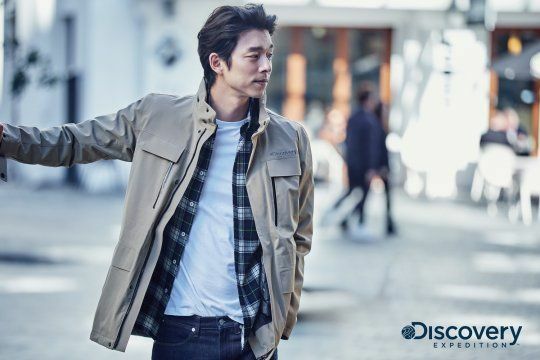 The second half is now in Gong Yoo‘s pocket as he’s cemented his new career high with not one but two hit Korean movies in the span of three months. His zombie film Train to Busan is the top grossing movie in South Korea this year, and upon release in other countries in Asia has proceeded to slay box offices there and is now the highest grossing Korean film ever in Taiwan, Hong Kong, and Singapore. Nice. His currently in theaters period war movie The Age of Shadows is the number one movie in South Korea two weekends running and in two weeks has accumulated over 6 million admissions. He’s about to jump into filming Kim Eun Sook‘s upcoming drama Goblin costarring Kim Go Eun, Lee Dong Wook, and Yoo In Na. 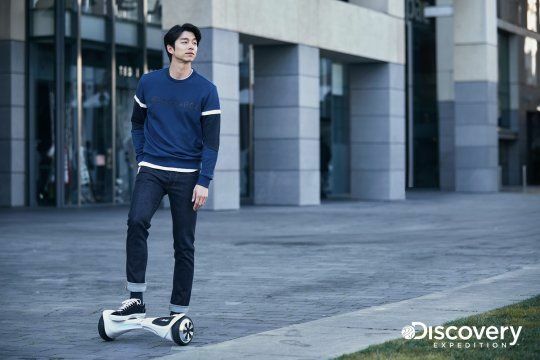 This is definitely Gong Yoo’s best widespread popularity year since 2007 when he had Coffee Prince, so have some yummy new Discovery Expedition pictorials while waiting for him to slay television come December. Woohoo!!! I can’t say Song Joong Ki made a big impact in the film industry but he sure conquered in drama land. Gong Yoo’s success reminds me of Yoo Ah In’s very buzzed 2015. Congrats to GY. Welcome back to drama land. well joong ki had the werewolf boy a few years ago and that was a massive hit. Which one is better paid if they’re A list actor, movie actor or drama actor? Lets compare between Jun Ji Hyun as drama actress and her as movie actress. Which one she gets paid more? Several big names in movie seem not popular internationally or even in Korea even though they get respect or awards, while drama actors get more opportunities from overseas, CFs and of course drama popularity. So happy for him. I love watching him in interviews for he speaks oh so softly and looks to be like a dork. Been a fan since Biscuit Teacher and of course Coffee Prince. Wish he could reunite with both GHJ and YEH someday. I don’t know how to describe his look. He has boyish look maybe because of his smile, but at the same time he looks manly because of his bone and body structure… He is so gorgeous! I no doubt would give credits the veteran Song Kangho: critical and commercial success. Not quite sure about Gong Yoo and his acting so far. I have seen him in Big but I didn’t try his other drama. Gong Yoo smiles can be infectious.Oh..I thought the hpye now is Lee Joon Gi? Total madness!! His IG followers increased by 250, 000 in the span of 2 weeks and still growing fast. I was robbed of the choco-abs in Train to Busan, so Goblin writer-nim, please shower us with more abs, both Gong Yoo & Lee Dong Wook. Rawr! He’s very lucky this year but his performance in Train in Busan is nothing to write home about. I second this. I don’t get the hype at all. Agree. IMO He is a good actor but not one of the best and his performance is nothing out of the world. His performance is just a normal one, but this movie is a huge hit. I will be looking forward to watching Age of Shadows, but not for Gong Yoo for sure. So looking forward to the drama, and most definitely Goo Yong on my screen!!! Always loved him! Very manly and handsome. 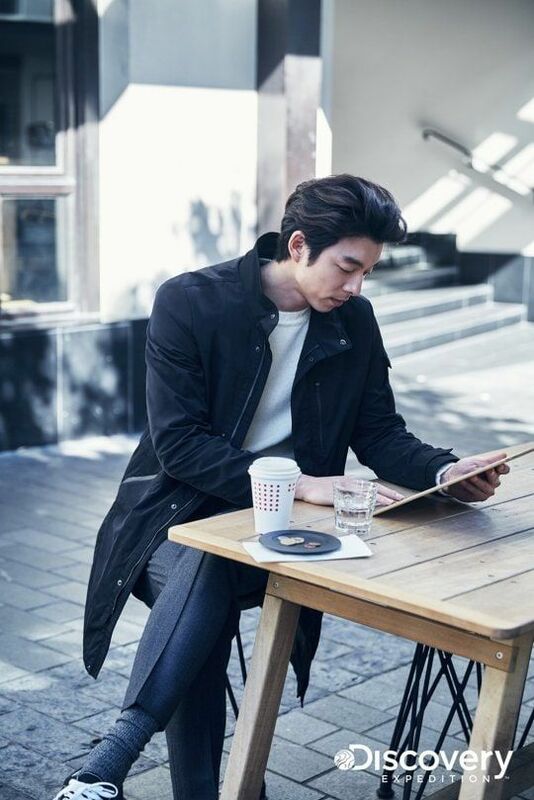 Gong Yoo deserves all the fame. He’s such a hard worker and his acting is topnotch (tough the other commenters here seem to think otherwise) not to mention he’s ridiculously handsome (he seems to get even more handsome with age). Looking forward to his new drama, hope it does well so that he can conquer the small screen too!